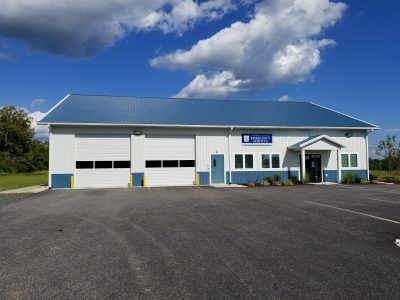 George, Miles & Buhr, LLC (GMB) provided architectural and engineering services for the design of a 6,200 square foot Emergency Services building for Caroline County, located on Double Hills Road. The Construction consists of a one-story wood framed pole building on a 76 acre parcel. The design of the building includes a fully functioning office for employees and an EMS living quarters with associated apparatus bays. In addition the project included site sustainable and green building technologies including pervious asphalt via state grant funding and a high performing thermal envelope via sprayed insulation above and beyond the 2012 International Energy Code criteria. GMB provided full services for this project including programming, schematic and design development as well as construction documentation and administration. GMB also assisted Caroline County with the grant funding application and administration of the grant funding for the site.